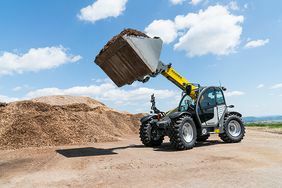 Kramer launched two new telehandler models in the second quarter of 2018: the 4007 and the 4209. The Kramer model range now includes 12 models from 0.8 tonnes to 5.5 tonnes of payload and from 4 m to 9 m stacking height. 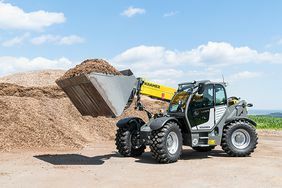 The 4007 offers 4.0 tonnes of payload, a high engine and hydraulic performance and its compact dimensions at 2.30 m width and 2.31 m height make it into a true all-rounder on any construction site. With the 4209, Kramer is presenting its second model in the 9 m class. The 4209 is already equipped with the ecospeed drive as a standard. With the optional new ecospeedPRO drive, a top speed of 40 km/h can also be achieved with this machine.